Victoria County is quite proud that Cape Breton Island has been voted as one of the top ten Islands of the world by Travel and Leisure Magazine in 2008. The Cabot Trail, the Cape Breton Highlands National Park, the Alexander Graham Bell National Historic Park, Bras d’Or Lakes, as well two of Canada’s top golf courses Highlands Links and Bell Bay, all call Victoria County home. Lonely Planet rates Cape Breton Island (& the Cabot Trail) one of World’s 10 greatest cycling routes. More than 1000 cyclists cycle the Cabot Trail each year. Check out our guide to cycling the Cabot Trail. Visit our outdoor adventures section to learn more about cycling, hiking, sea kayaking and other outdoor activities. 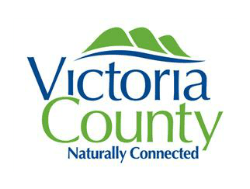 Victoria County Municipal Council invites you to browse through their site to see all their County has to offer.This website is intended for many uses including local resident information updates, support of County programs and services, as well as promotion of Victoria County as the place, not only to visit, but live. Come and see Victoria County, where the mountains meet the sea.